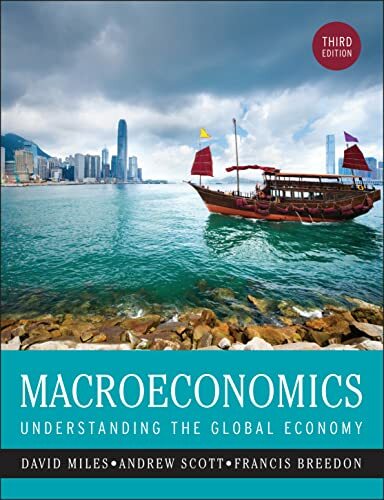 Macroeconomics: Understanding the Global Economy, 3rd Edition is to help students – and indeed anyone – understand contemporary and past economic events that shape the world we live in, and at a sophisticated level. But it does so without focusing on mathematical techniques and models for their own sake. Theory is taken seriously – so much so that the authors go to pains to understand the key aspects of theories in a way that will not put people off before they see how theories are useful to analyse issues. The authors believe that theories are essential to better understand the world, thus the book includes a wealth of historic and current episodes and data to both see how theories can help interpret the world and also to judge their validity. Economies today are very inter-connected; what happens in China matters pretty much everywhere; and what happens in one (even small) country in the euro zone has implications for the whole euro area and beyond, consequently Macroeconomics, 3rd Edition adopts a very international focus. Reviews of the 2nd Edition: "..a much needed textbook to help them stay interested...a great way to get serious about economics without losing yourself in equations.."
"..an original and interesting macroeconomics text. It is a self-contained volume which any student and teacher of economics within the higher education sector will find extremely useful..."
"Macro textbooks tend to run in 2 flavours: 1). the highly technical and mathematical, where for most students the effort to read the book obscures the actual learning 2). the trivial and simplistic. This book by Miles and Scott manages to avoid either pitfall. Mathematics is kept to a minimum (there is no differential calculus in the main body of the text) and the focus is on logical analysis and presentation of data. The book manages to be straightforward without being simplistic. Very few economics textbooks, in my experience, manage that trick." "I always thought I would be bored to death by a book on macroeconomics. I was wrong. This is an interesting and suprisingly readable guide to macroeconomics. The many graphics are very clear and complement the text very nicely. I particularly liked the blue appendices highlighting some key relavent issue. For example "Why is Africa so poor?" was a clear account of a very timely issue. I wholeheartedly recommend this to anyone with even a passing interest in the subject.BUY IT"
"This book is quite simply excellent. Clear yet thorough explanations of all aspects of your typical first university module in Macroeconmics. A must read for anyone studying Economics or Finance."